Home » News » Flat white, anyone? The headlines have been full of the news that the ‘flat white economy’ has overtaken traditional industry as the largest driver of UK economic output. The name refers to the digital and creative businesses – and the coffee-drinking, bicycle-riding millennials behind them – who are found clustering in areas such as ‘Silicon Roundabout’ in East London. 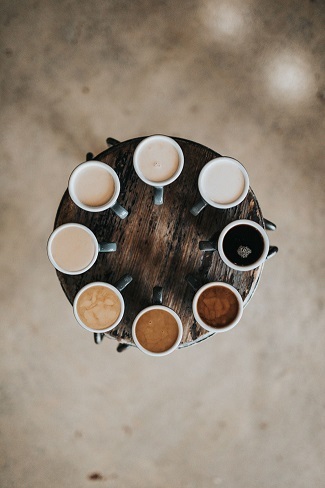 It was first coined by Douglas McWilliams, deputy chairman of the Centre for Economics and Business Research (CEBR), in reference to the culture that has grown around such organisations – with business often taking place in a coffee shop alongside an espresso with hot steamed milk. According to the CEBR, flat whites accounted for 14.4 percent of gross value added last year and almost half of its growth. This propelled the sector above the more traditional parts of the UK economy, representing businesses such as manufacturing, mining, power generation and water supply, which have remained static at around 13.8% of UK GDP since 2016. The news comes on the back of comments from a Business Select Committee, who criticised the Government’s Industrial Strategy for being too focused on hi-tech sectors and fast-moving companies, while ignoring traditional industries. Rachel Reeves, chairman of the committee, has warned that it isn’t doing enough for the ‘everyday economy’ and isn’t being delivered upon in certain neglected sectors, such retail and hospitality, which still employ millions of Britons. One of the main messages coming from the MPs is that even small amounts of funding producing only minor improvements in productivity, would have a profound benefit on the economy, if aimed at those industries. These sentiments, combined with the fact we are facing uncertainty over our trading policy in the coming years, means we are going to be even more reliant on starting and growing businesses. Luckily, our homegrown creativity and entrepreneurialism is something this nation is well known for. And now is the time we need to be investing in these startups, to help them scale up and become the successful businesses and services we need to boost productivity in the way Rachel Reeves describes. That’s why the likes of the British Design Fund are so important. The Fund invests in early stage, well-designed product businesses that meet a real need in the world. Don’t get me wrong, technology can – and very often does – play an important role in the success of the businesses in which we invest. But firstly, and most importantly, the ‘product’ needs to be things you can touch and feel.